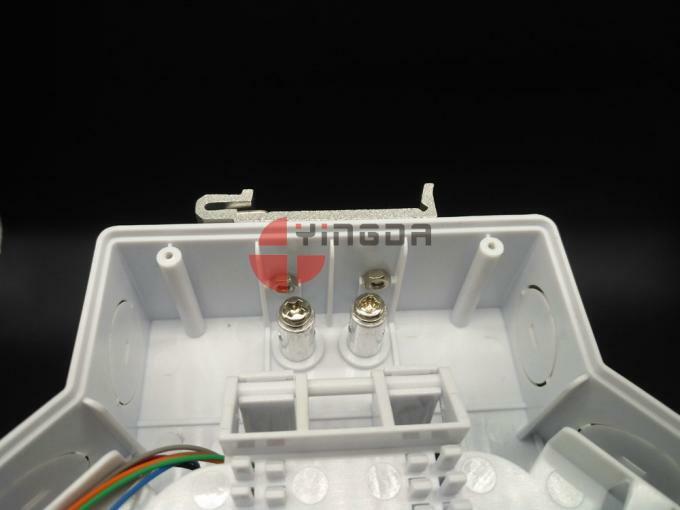 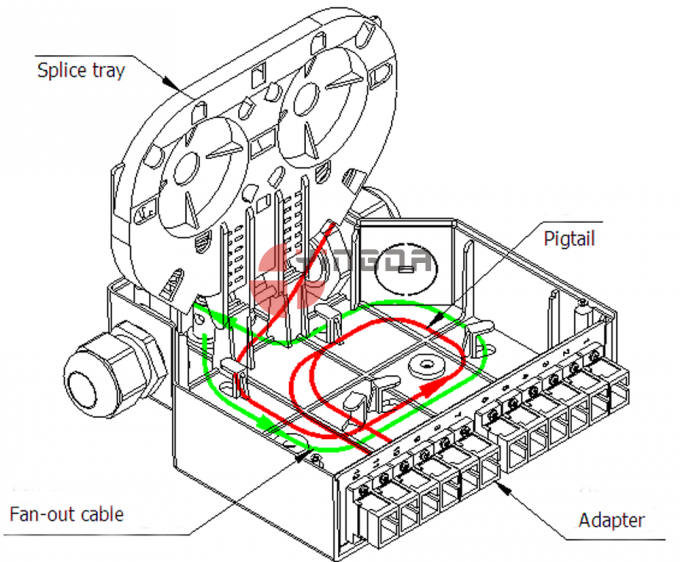 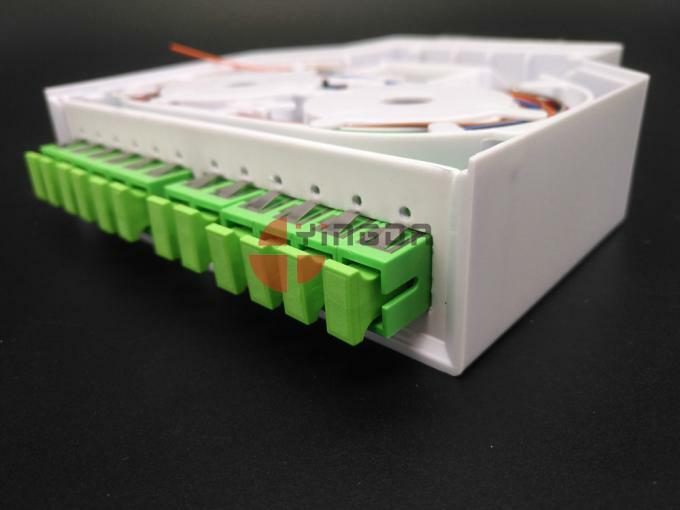 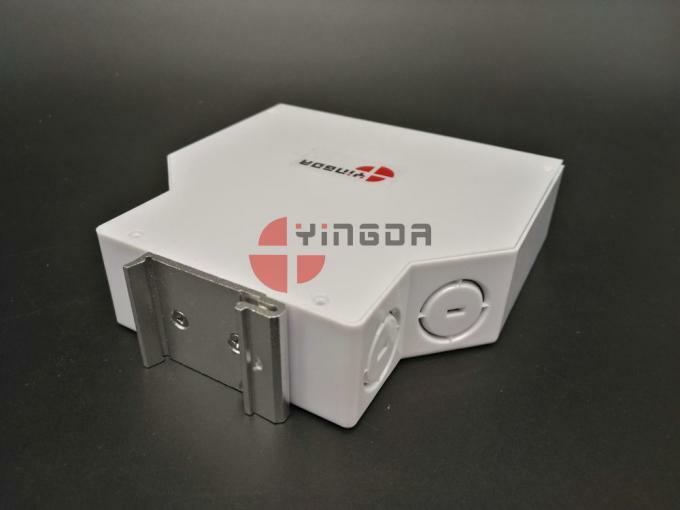 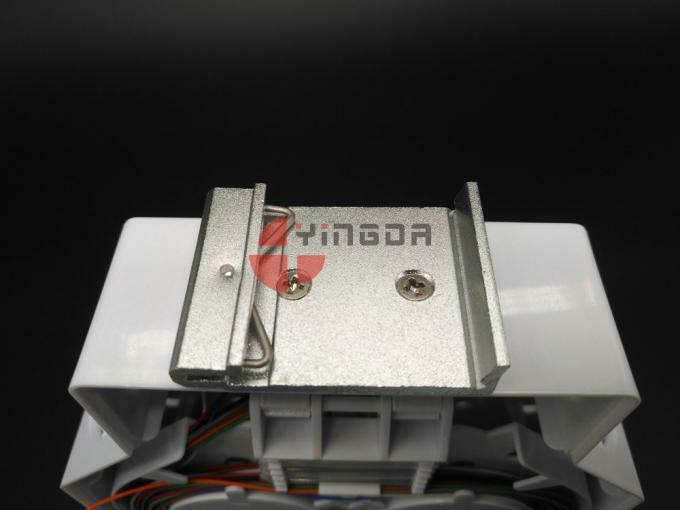 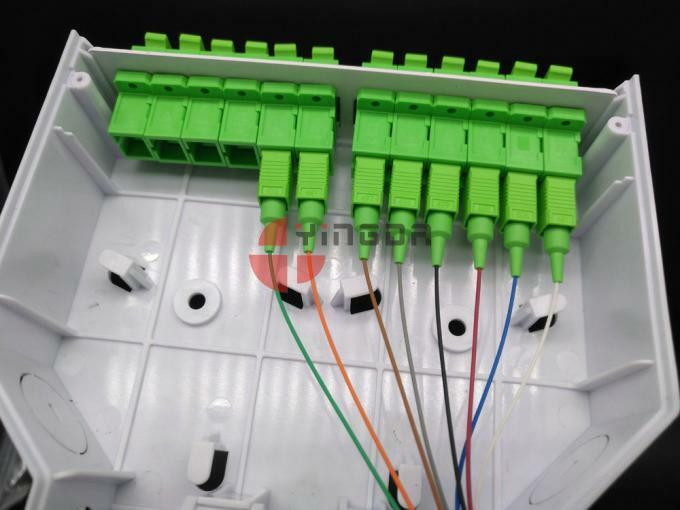 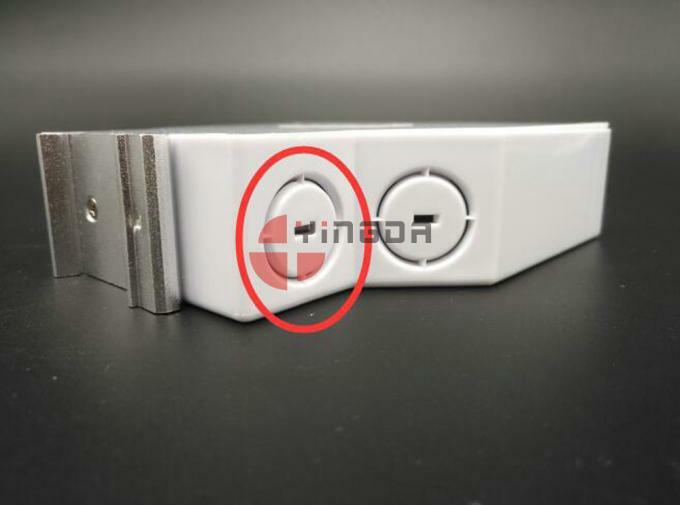 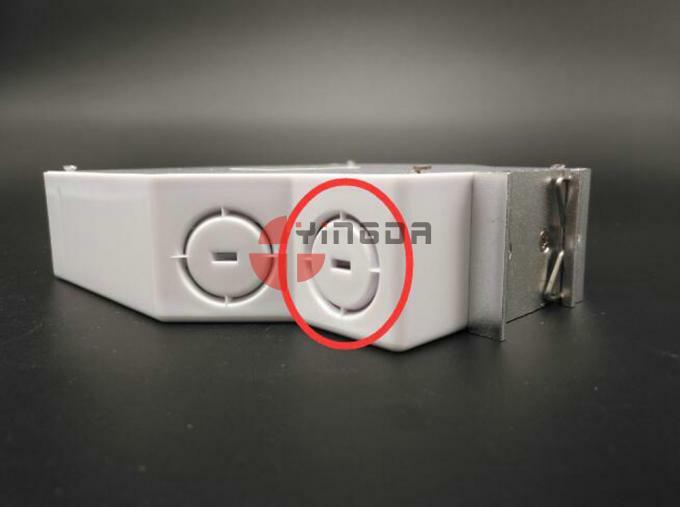 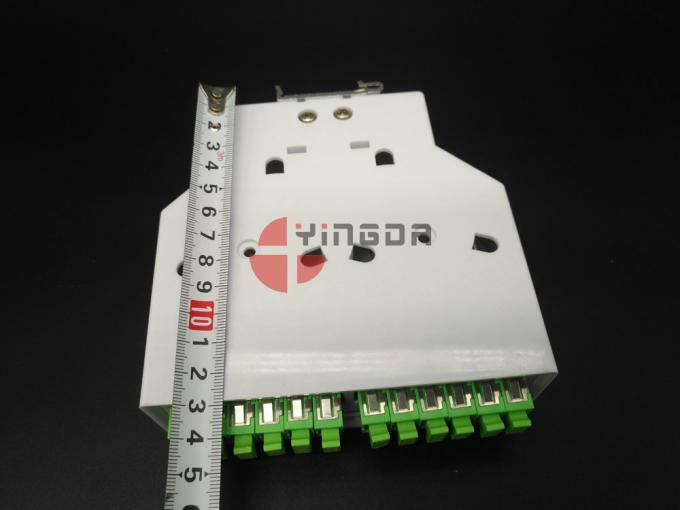 The box consists of cover, 1pc of splice tray, box body, 1 pc of adapter plate. 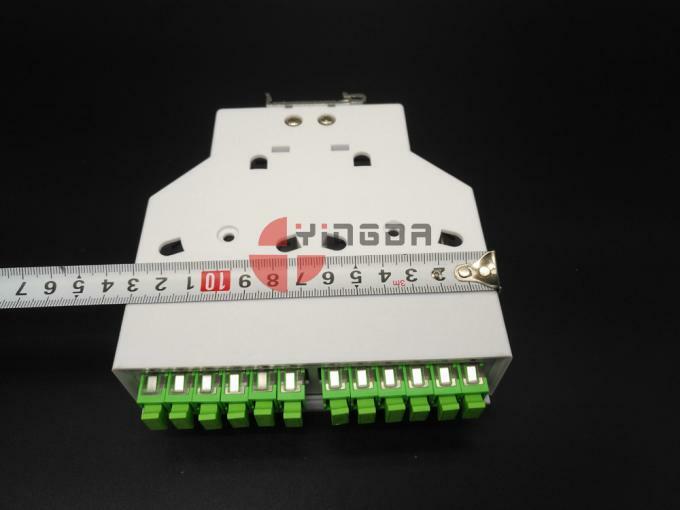 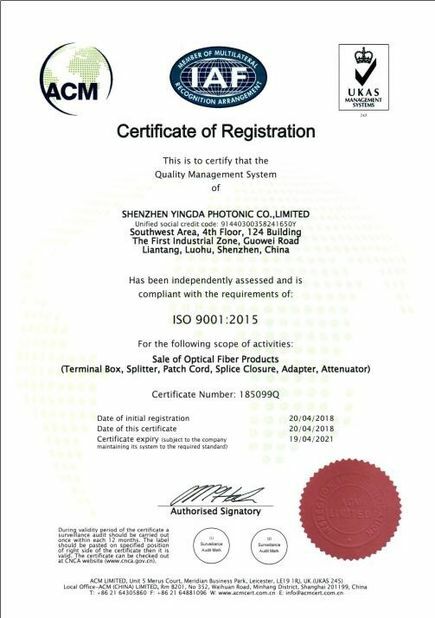 Adapter plate is made of cold rolled steel, which can accomodate max. 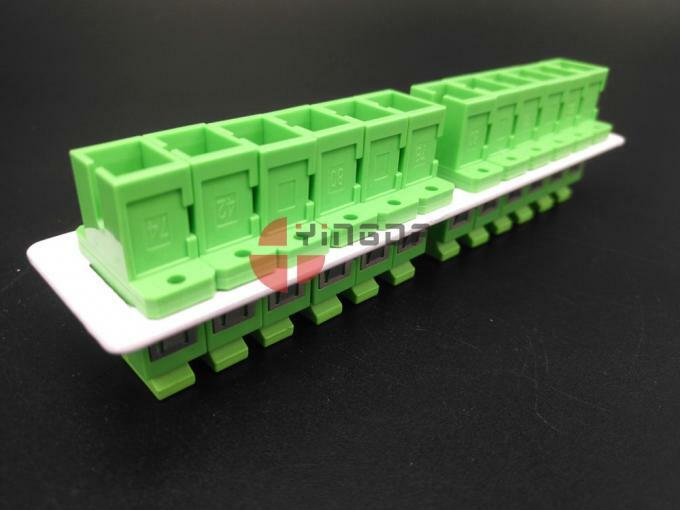 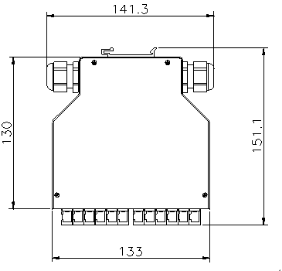 12pcs SC simplex adapters. 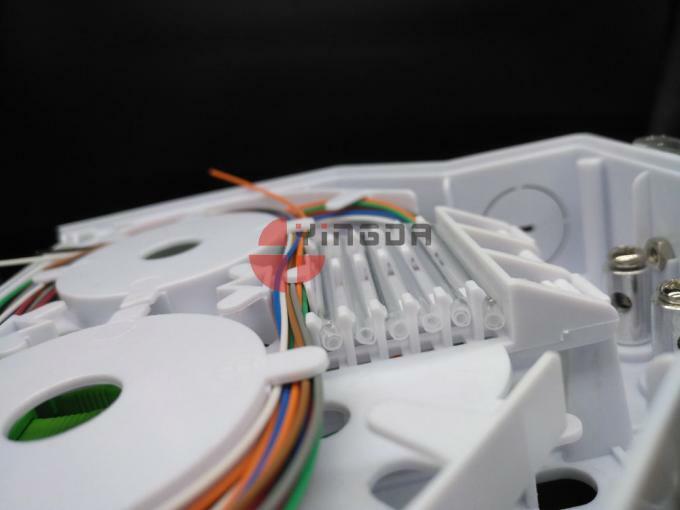 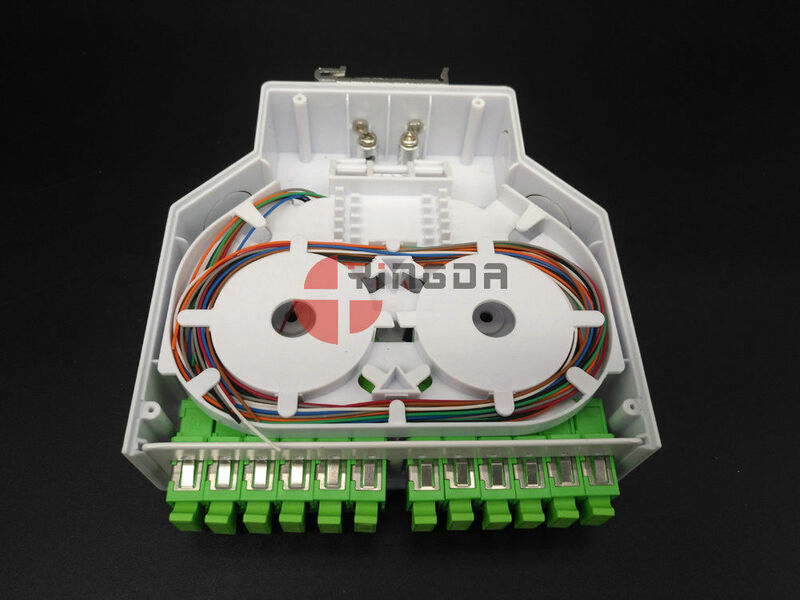 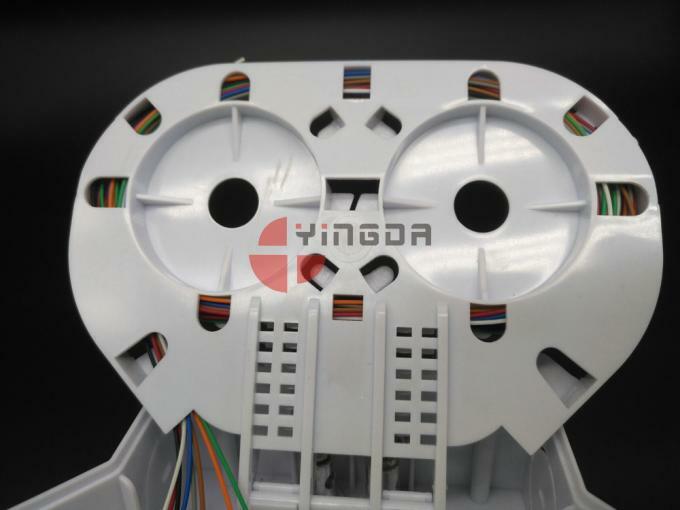 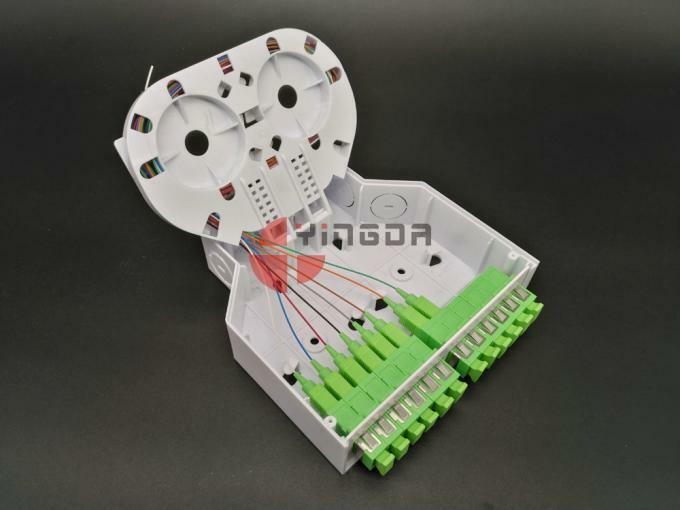 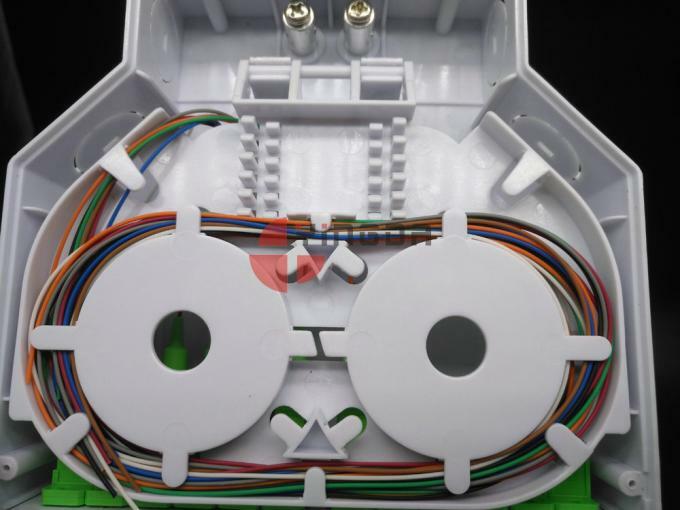 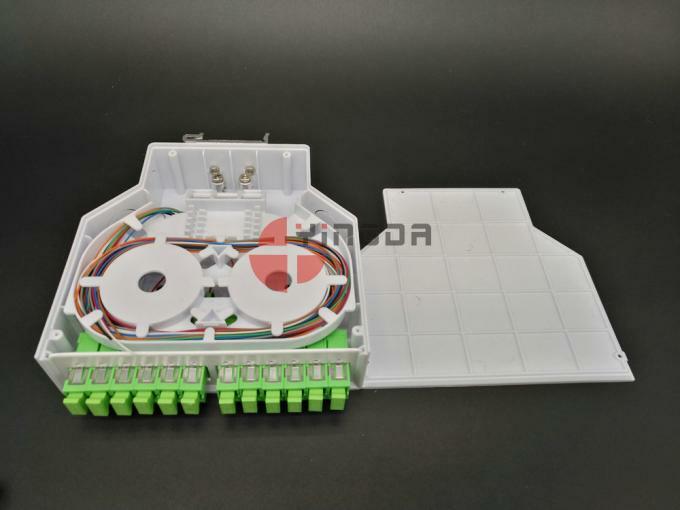 The splice tray can coil and splicing fibers. Insert the connector of pigtails into adapters, then splicing the pigtails and other cables on the splice tray. 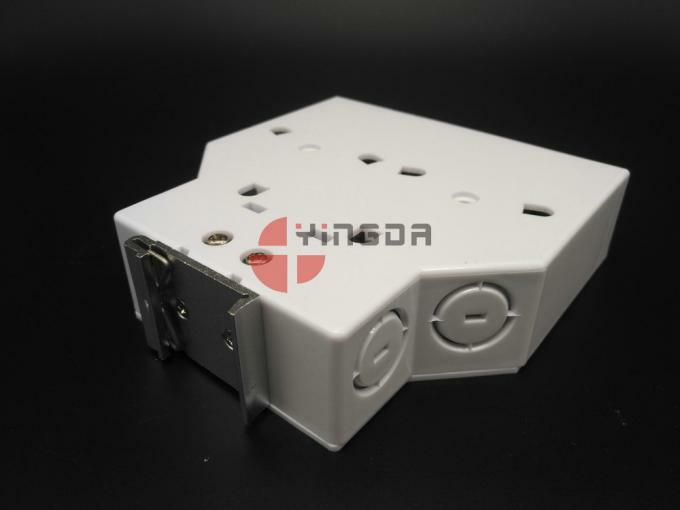 The cold steel rolled adapter panel can be taken out. 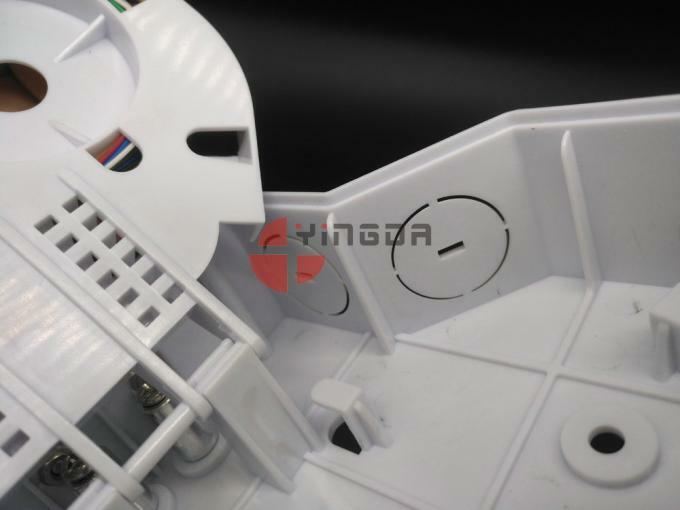 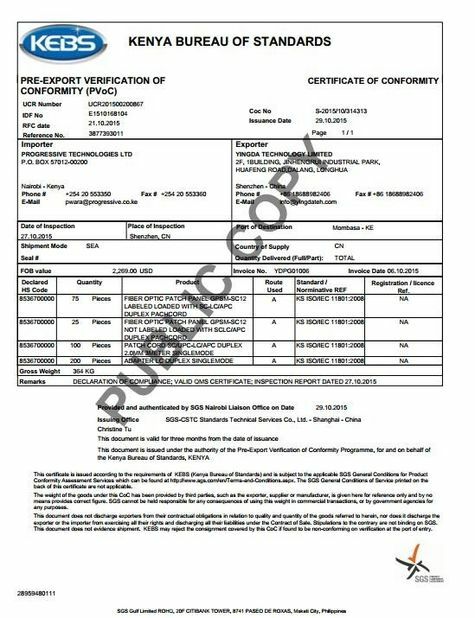 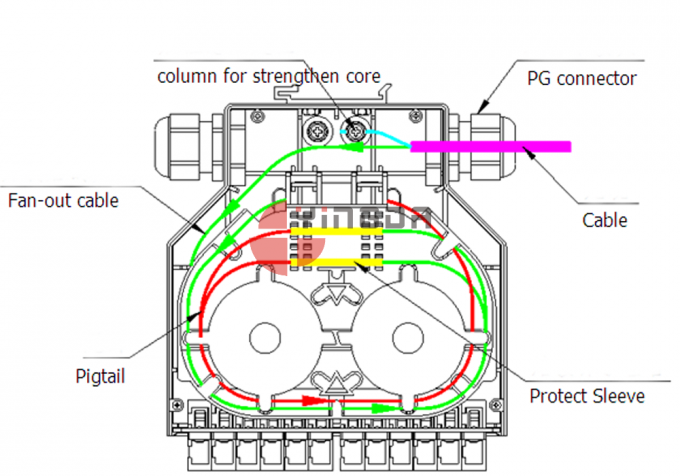 Like the red circle marked, cable gland can be installed here.